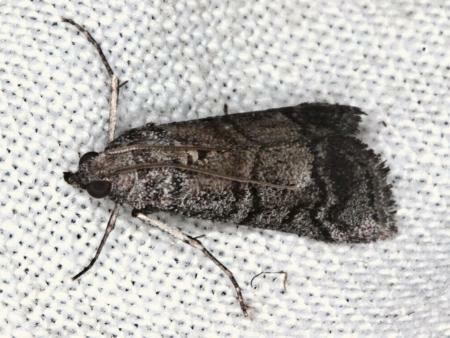 The forewings of the adult moths are pale grey with various obscure dark markings including an irregular black band. The hindwings are pale grey. The moths have a wingspan of about 2 cms. Series 1, Volume 4, Part 2 (1879), pp. 217-218.